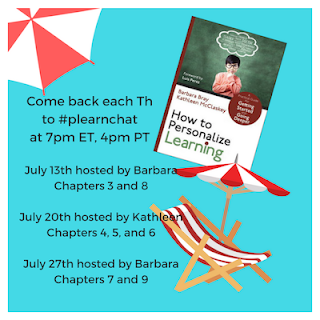 This summer we were invited by #BookCampPD to conduct a book study of How to Personalize Learning. 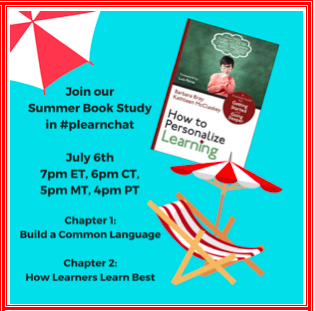 Each Thursday this July at 7pm ET, 4pm PT, we will conduct a discussion in #plearnchat to dive deeper into our book. 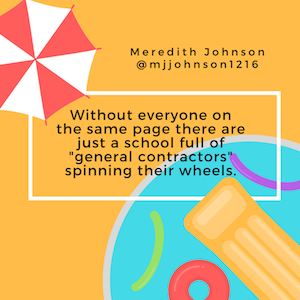 We want to send out a special thank you to Meredith Johnson (@mjjohnson1216) for including us in #BookCampPD. 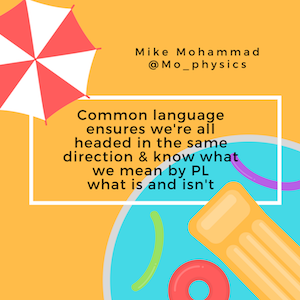 Here is our first session where we discussed building a common language around personalized learning and how we can understand how learners learn best using the UDL Lens. 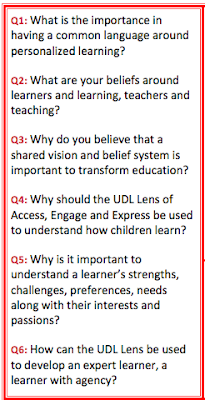 The conversations about shared vision and beliefs and how the UDL Lens can be used by teachers and learners offered new insights on personalized learning that we have shared here. Being without a shared vision & belief system is like a train engine w rail cars coming unhooked rolling in all directions! A shared vision says-"this is what we are all about" as a school/district. Communicate what you value + model what you expect. 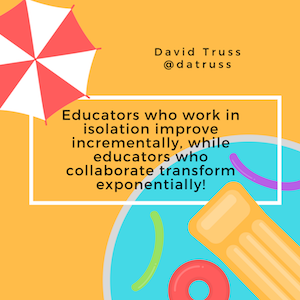 A shared vision builds a culture of learning. Learning is a journey and more fun when all go on the journey together. Every student can learn and it is the role of the teacher to help unlock the best strategy to help the student to do so. Shelley Vohra, Ph.D. @raspberryberet3It (UDL Lens) is a great framework for Ss to self-assess and self-reflect & have convos w/Ts, Ps and their peers about how they learn. Common language reinforces common expectations/goals-provides consistency/reliability in an otherwise unpredictable journey! I believe each learner is unique and it's my job to provide them w/choice and facilitate their learning. 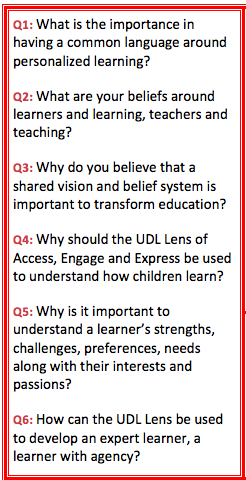 Ls need to understand UDL because this helps create their personal learning backpack. Ls taking charge of their learning! UDL allows Ts to help Ss set goals and gain skills to be successful. All stakeholders need to believe in the importance of empowering learners to own their learning. Common language is a part of a common vision. Common vision = essential to accomplish goals. We need to work as 1, not against each other. If the vision is not shared, different paths lead to many ends, instead of 1. 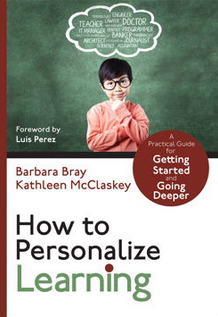 How to Personalize Learning is your practical guide to getting started and going deeper with personalized learning. Corwin has offered our followers a 20% discount code. Go to Corwin Press and use the discount code N169O6 for your own copy. 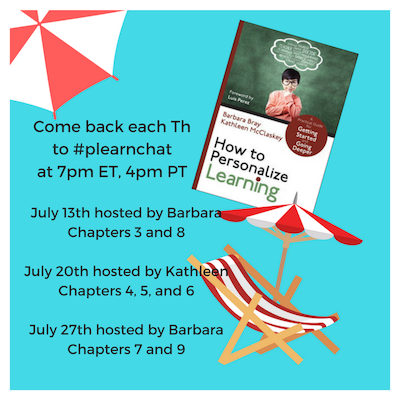 We archived the entire #plearnchat about Chapters 1 and 2 below for your convenience and as a resource.